Oh Hi, New Blogger! Welcome to this wonderful, crazy world we call blogging. You’re in a for a wild ride. 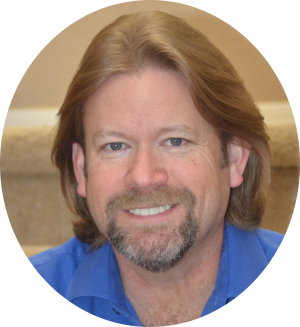 I know you want to get out there and start pulling in thousands of dollars each month… just like the pros, right? That’s a perfectly normal goal when you’re a new blogger. Or even when you’re an old blogger. As you probably know, a lot of bloggers make a good living creating content online. A lot give up before they even really get started. They get bogged down with things that are way ahead of their experience level and lose focus. And it becomes a lot more confusing… and a lot more work… than they ever expected. So how do you succeed as a new blogger? One big factor in winning at any race, trip or undertaking is getting a good start. Starting out as a new blogger can be overwhelming. There’s so much to learn! And there are so many distractions… it’s easy to get wrapped up in all the hype around affiliate marketing and social media and Google ads and monetization and… well and about a million other things! But before you can run, you need to learn to walk. And YourBigScene.com is here to teach you how to take your first steps. You’ll be running before you know it! Before we start running this race, let’s make sure we’re lined up right on the starting block. Here are a few key components that you need to focus on. 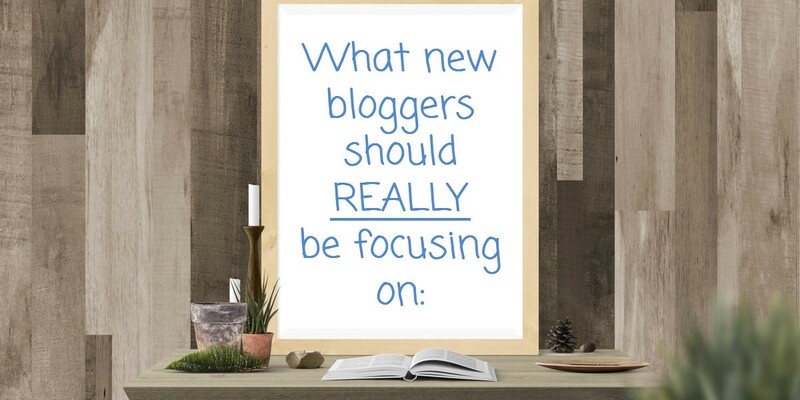 And when you are starting as a new blogger, focus only on these. You can worry about monetization, SEO, guest-posts, affiliate links and all that other stuff you’ve been reading about later. Consider this your blogging breakfast before you head out for the blogging day. For the sake of brevity and to keep you from getting any more bored that you already are, I won’t go into detail about each of these areas. The detail can be found in other parts of my blog by following the links in each area. It’s the same with blogging. Before you start worrying about all the fancy-pants advanced blog-lifting, make sure your blog has a strong core. You’re much more likely to write posts that people want to read if you write about something that you personally care about. And you’re much more likely to keep writing if you are personally invested in your topic or “niche”. Free is good. But when it comes to your website, it’s only good if it’s your only option. Which do you think looks better: yourbigscene.com or yourbigscene.wordpress.com? yeah. Drop the WordPress hosting and move to self-hosting. There are several really good affordable hosting companies that will help you get off on the right blogging foot. Bluehost – is one of the most-used hosting companies. And for good reason. Hostgator – is where I still host a bunch of my domains. Namecheap – is new to the hosting market, but is making up ground fast. I still host most of my domain names through them and they provide a great value! JetPack – is full of useful options and information to help you run your site better. Yoast SEO – so you can make sure that what you’ll be writing is optimized for the web. As I said earlier… don’t worry about becoming an expert in all this stuff. We’ll cover it more in depth later on, and you’ll get better at it as you get more into blogging. Aside from having a good solid starting point, this is the most important thing you can do for your blog. You have to create content. And you have to create lots of it! When you’re just starting out, don’t even worry if the content is good. Well, it has to be a little good or nobody will ever come back. But it doesn’t have to win you a pulitzer. Don’t worry about perfecting it or spending hours on research. Just write. Double-check your spelling and grammar (I highly recommend Grammarly). Put a couple of pictures on it and move on to the next post. Here’s the thing. The more you write, the better you will become at writing. Don’t worry about traffic or visitors. Those will come along naturally as you progress and learn more about blogging. What you should worry about is putting out content on a consistent basis. Give your audience something they can count on. If you can swing posting a couple of times each week that would be awesome. If you can only post once per week, then do that. The important thing is that you post something regularly. Pick a day or days and do your best to publish on that/those days consistently. I go to my favorite local restaurant every Sunday at 3:00. Not because I’m predictable, but because I like the benefits that come with consistency. OK… so I’m a little predictable. I see the same staff there pretty regularly, so they know me. I get better service and the occasional freebie. And when I go at a different time, it’s a different experience. I don’t enjoy it as much and I start thinking about trying other restaurants. It’s like that for your audience. They will grow to expect you at the same time each week. And that’s how you build brand loyalty. This kind of ties the first 3 components together. This is how you build that brand loyalty we just covered. Don’t try to write like someone else, and don’t try to pass off products or information that you don’t believe in. Not only will you sound less like yourself, you’ll start to feel bad about being a liar and deceiving people and your skin will break out and you’ll start developing blogger-pattern baldness. Okay, so it won’t be that bad. But people find your blog because they are searching for something. And you want to be a reliable source of information or products for whatever that something is. Write from your heart, and be yourself. You’re writing will improve and your character will become more evident as you get more practice. Try writing like you’re talking to a friend… maybe giving them some good advice because they know how awesome you are and that they can trust you. Your content will bring people to your site. Your character will keep them there. It’s the one thing I wish I had done sooner when I started blogging. And it’s what you’ll hear a lot of seasoned bloggers say they wish they’d done from the beginning. It’s as simple as signing up for a starter (free) account from MailChimp or any other reputable email marketing company. Put a form on your site that just says “sign up here to join my list”. You don’t have to worry about sending them a bunch of emails or promotions or anything at first. For now, just give them an opportunity to connect with you through email. As you build your blog and your brand you’ll be able to use that list to share more information and provide them with the cool products that you want them to have (and maybe to make a little money along the way). For now, those 5 things are enough to worry about. You can move into all the other aspects of blogging once you get those covered. 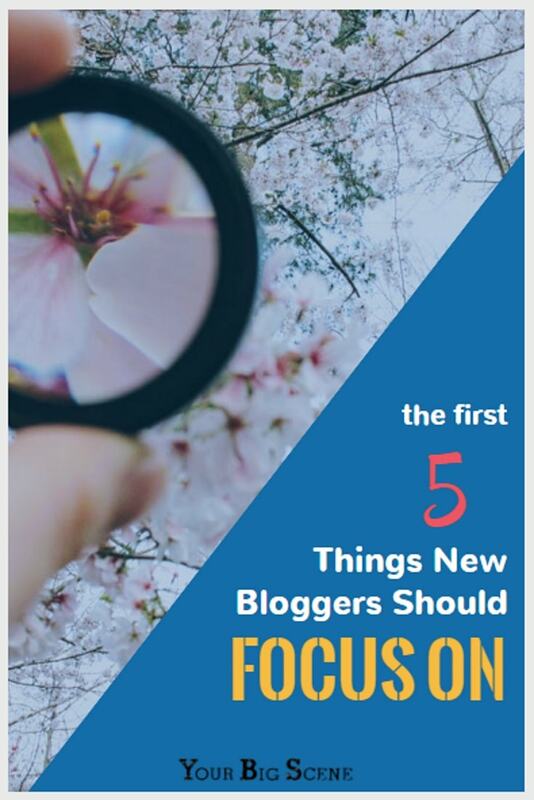 Don’t think that these tips are just for new bloggers; you’ll need to keep checking yourself as your blog grows to make sure you’re still following the basics. But for now… let’s get ready to run! Want to find out more about how to get set up as a new blogger? Check out Alex & Lauren’s course Build and Launch Your Blog. I went through this course myself and highly recommend it to any new blogger!